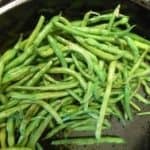 I use a large cast iron skillet to make the Garlic Green Beans and cook them as if I were stir-frying with plenty of butter – use ghee for a paleo recipe. Not too long – they’re best when still slightly crisp! I love green beans fresh from the garden! In fact, I like to eat them raw, right after picking and so do my children! We like them small, tender and crunchy! I know it’s not the most appropriate way to eat green beans. They should be prepared with butter and oil and all that good stuff! But I have to admit, I love the taste of vegetables straight from the source. Normally, I freeze any extra green beans to have later in the year. But this year it looks like we will use them all in our cooking. Because, I cook so many at a time, I use my 17-Inch Cast Iron Skillet to make the Garlic Green Beans. I cook them as if I were stir-frying using lots of butter. For the Paleo version – use ghee instead of butter. In the following recipe be sure not to cook the green beans too long – they are best when still slightly crisp! Use plenty of butter (or ghee) – not only does it make them taste even better, but it also prevents sticking. Feel free to use more garlic if you dare! 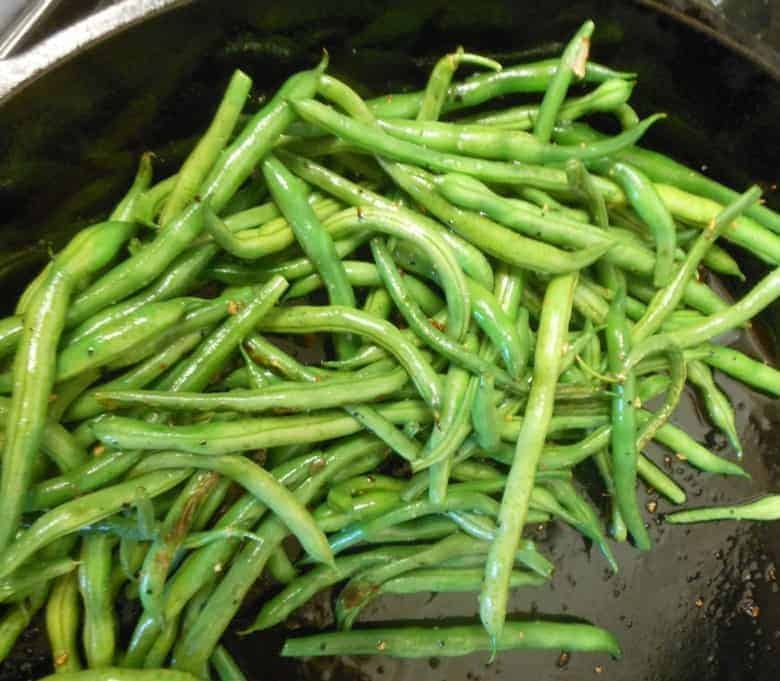 If you’ve tried these Garlic Green Beans or any other recipe on Cultured Palate please take a minute to rate the recipe and leave a comment letting me know how you liked it. I love hearing from you! You can also FOLLOW ME on PINTEREST, FACEBOOK, INSTAGRAM, YouTube and TWITTER. The perfect side dish, it has just enough flavor to let your main dish shine. Heat butter or ghee in a frying pan. Green beans go in next. Stir-fry until just tender. Stir in additional butter/oil if needed. Salt to taste Serve hot and enjoy! Be sure not to cook the green beans too long - they are best when still slightly crisp! Feel free to add more garlic if you dare! Adding more butter adds more taste and prevents sticking. Do you like green beans? How do you prefer to cook yours? Tell us all about it in the comments! Mmm I love garlicky green beans with roast chicken, so yummy. Like you, I like them with some crunch too, overcooked green beans are just blaaa.